This Expert Advisor uses three indicators, RSI (Relative Strength Index), fast Moving Average (5 period), slow Moving Average (200 period). The Idea of this strategy is to determine the general trend by using the slow Moving Average (MA 200). Then buy on the dips and sell on the rises. RSI (2 period) is less than 6. Close of previous candle is greater than slow Moving Average. Close is greater than fast Moving Average. RSI (2 period) is greater than 95. Close of previous candle is less than slow Moving Average. Close is less than fast Moving Average. 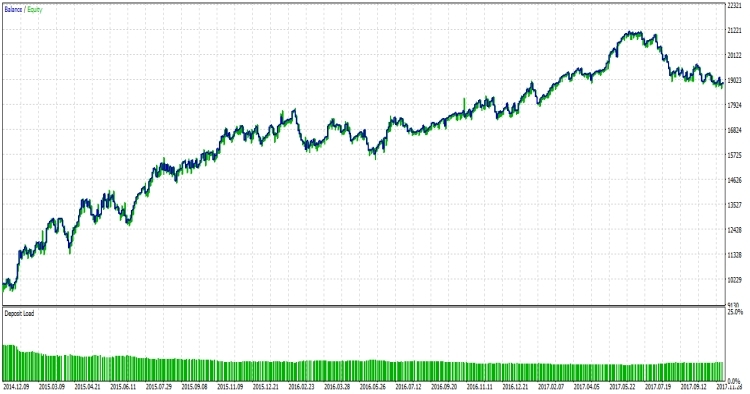 Best results on the EUR/USD pair 1H timeframe. Play with inputs to find your desired results.